Revel in me...: One for the beaches. I think one of my favorite things in the world is the beach. In fact, my number one sexual fantasy was to do it on a beach wtf. Until someone pointed out that you will get sand all inside you WTF. 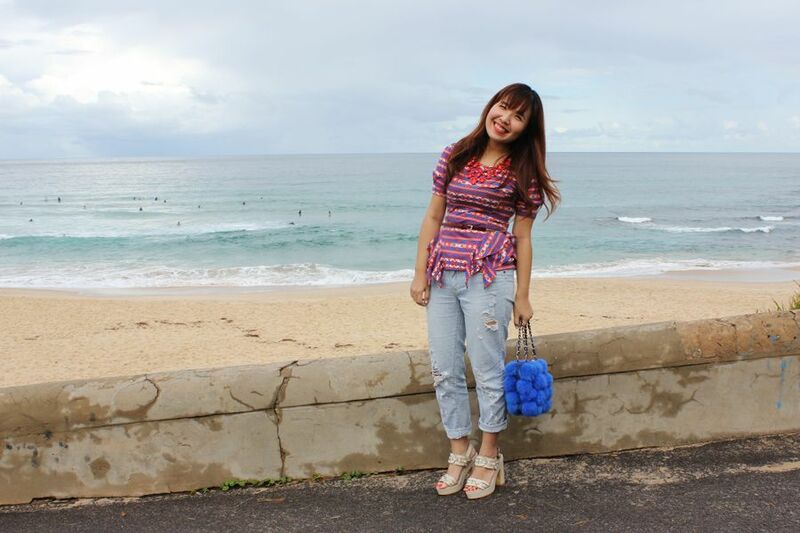 So one of the things that I envy Jing the most was being able to access the beach at anytime when she was in Sydney! Now she is working in Brisbane-- which means even more beaches. *turns green with envy* Knowing my love for beaches, Jing actually arranged a lot of meals next to the beach for me! For example, brunch at Deckhouse which I blogged about here. 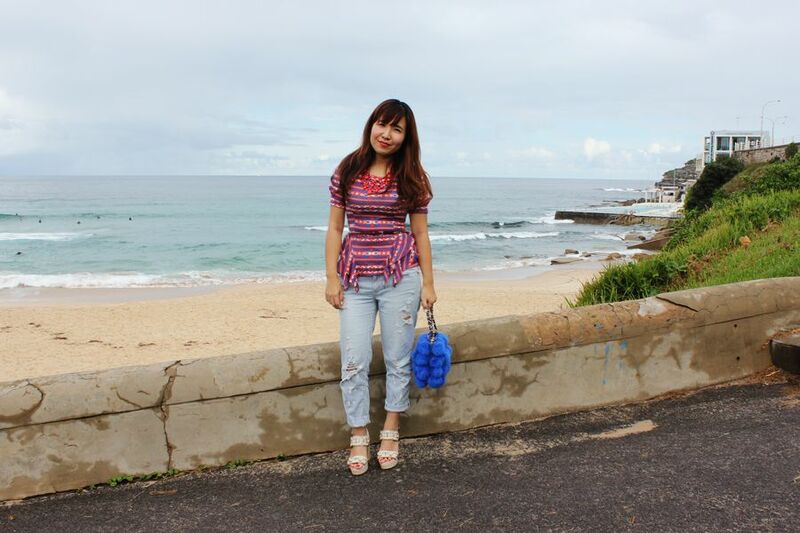 Another morning, she brought us to have lunch very near to Bondi beach! It was one of the best brunches I have ever had, and after the extremely satisfying meal, we took a walk down Bondi beach. Suddenly noticed that the sun was creeping out! 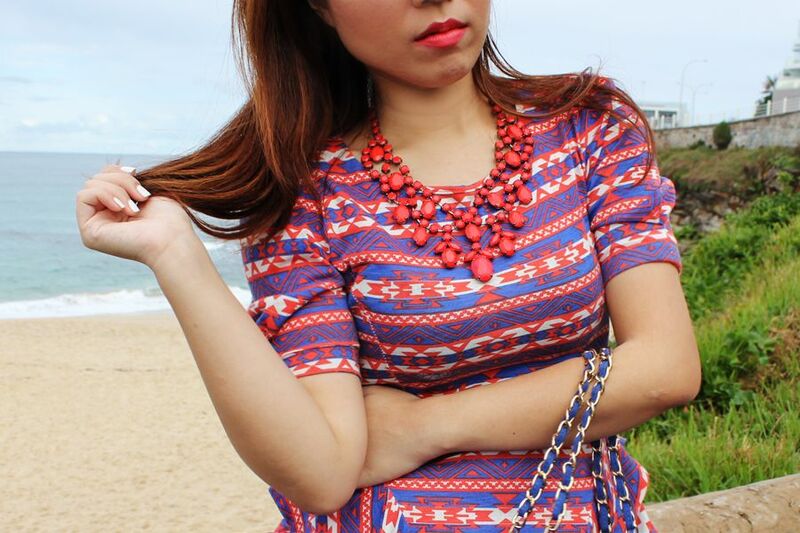 I have a thing for tribal prints, Aztec print, ikat print, batik, Navajo print.. I love them all! So when I saw this Aztec print tee with a really unique peplum hem (kind of structured and jutting out, if you may), I knew I had to have it! 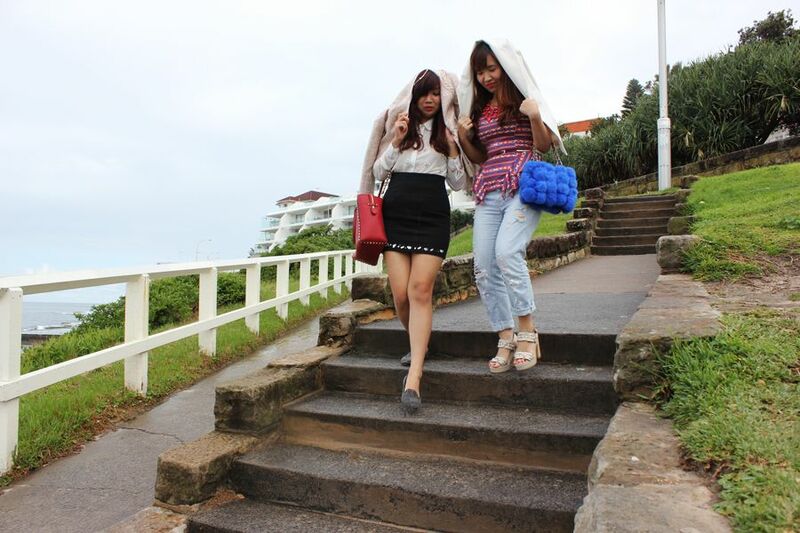 Scampering around underneath our jackets because we didn't want the rain to mess up our hair and make up WTF. Jing's wearing top and bottom from AZORIAS, and I am using a blazer as an umbrella wtf from AZORIAS too. I wish you guys would make a travel must do list for food places in Australia! Since Jing set her blog into private, I haven't drooled over all the wonderful food posts in a while!